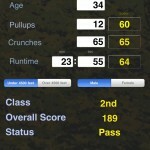 The Marine CFT and PFT Calculators allows you to accurately score your USMC Combat Fitness and Physical Fitness Tests. Scoring info for both tests are included for reference. 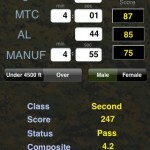 Calculations can be made to include altitudes above 4500 feet for both CFT and PFT evaluations. All calculations are computed based on USMC MCO P6100.13 with Chapter 1. 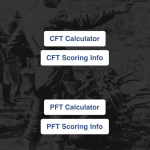 The CFT Calculator portion a tool for calculating the pass or fail status of the Combat Fitness Test as well as the score for each individual event. 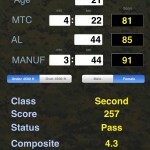 A corresponding status for each event criteria, MTC (Movement to Contact), AL (Ammunition Lift), and MANUF (Maneuver Under Fire) is computed individually for score and pass or fail status. The individual events are then compiled to calculate the overall score, classification (first / second / third), and then the Composite Score. 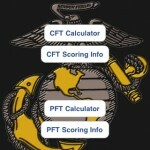 The PFT Calculator portion is a tool for measuring Physical Fitness Tests results from a Marine Corps PFT score towards a promotion. 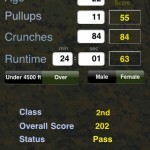 A corresponding score for each event, pull-ups (flexed arm for female marines), crunches, and run time is calculated and then added together to for the final score and classification. 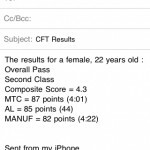 The results can also be emailed through the iphone’s email application using a built-in template. 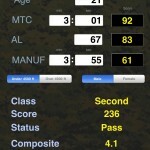 The application is compatible with iOS 3 and iOS 4. The Langelier Saturation Index computes the Langelier Saturation Index, a calculated number, to predict the calcium carbonate stability of water to determine equilibrium. This helps you determine the scaling potential of the water. A negative LSI indicates that the water is corrosive to steel. The app also features a short interpretation of the the LSI value, and water temperature can be entered as Fahrenheit or Celsius. • Featured by Apple App Store in Weather > What’s Hot for the iPad in 108 countries. The Heat Index & Heat Category is the Universal App for measuring the perceived temperature. Because the body normally cools itself by perspiration, when relative humidity is high, the evaporation rate is reduced, and heat is removed from the body at a lower rate causing it to retain more heat than it would in dry air. This calculator takes into consideration not just the air temperature, but also the relative humidity, giving a good estimate of the perceived temperature when the the air temperature and relative humidity are entered. The heat category is a measurement taken from NOAA’s National Weather Service Heat Index Chart and is used to assist in determining how much caution should be exercised when outdoors for any period of time. 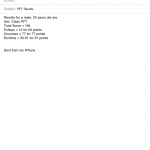 The results can also be emailed through the iPhone / iPod Touch / iPad’s email application using a prewritten template. The answer is computed for both Fahrenheit and Celsius for convenience. The calculator is the most effective when the temperature is at least 80 °F / 26 °C and the relative humidity is at least 40%. Press the FETCH button to get your location calculated HEAT INDEX for the iPhone, iPad, and iPod Touch. Then try calculating your “What if’s” by changing the values.